Fairmont The Palm is an idyllic five-star resort situated on Dubaiâ€™s most sought-after island community, Palm Jumeirah. A luxury beachfront resort with unrivalled views of the Arabian Gulf and glittering Dubai Marina skyline, the city's major attractions and airports are all located within easy reach, setting the resort apart as a unique leisure and business destination. Atlantis The Palm located on an island with direct access to a private beach, offers 23 restaurants for gourmet and casual dining, a luxury spa, a swim-up bar, 2 outdoor pools, a children's pool, children's activities, boutique shopping, nightlife, and an abundance of aquatic adventures â€“ all in an exclusive island setting. Jumeirah Zabeel Saray is a five-star luxury hotel that does absolutely everything in superb style. From its exclusive location on the west crescent of the iconic Palm Jumeirah to the truly spectacular lobby entrance, every detail inspires awe and delight. With a perfect location, you can hit the beach and work on your tan in the sun loungers or relax in the shade with complimentary cabanas and umbrellas. Enjoy your summer holiday at Sofitel Dubai The Palm Resort with a pampering treatment at the spa and refreshing swims in one of the 6 pools. 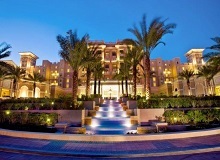 Anantara The Palm Dubai Resort is a remarkable resort inspired by traditional Thai architecture in an Arabian setting. A 45 minute drive from Dubai International Airport, it is within easy reach of exciting attractions including Aquaventure Water Park, Mall of the Emirates, Ski Dubai and Dubai Marina. Located in the heart of Dubai and overlooking the Dubai Creek, Jumeirah Creekside Hotel in Dubai is conveniently situated for access to Dubai International Airport and within minutes away from some of Dubai's most important landmarks and shopping centres. 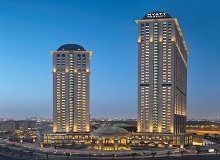 Nestled in the heart of Dubai, Al Ghurair Rayhaan by Rotana is a 5 star alcohol free and family oriented hotel, connected to the citys business and tourist destinations through the Dubai Metro rail network. The 5-star hotel offers 216 guest rooms and 7 meeting rooms with natural daylight, equipped with the latest audio-visual technology and high-speed internet.All 216 soundproofed rooms provide free WiFi, free wired Internet, and 24-hour room service. Experience unparalleled elegance at Park Hyatt Dubai, a luxury resort in Dubai, adjacent to the world-famous Dubai Creek Golf & Yacht Club. This 5 star Dubai resort offers 225 luxury rooms including 35 suites; all of which offer stunning views overlooking the Dubai Creek and marina. This city centre hotel in Old Dubai provides guests easy access to old world wonders and new world opportunities. A modern, waterside hotel located near the souks, mosques and shopping malls of Old Dubai! 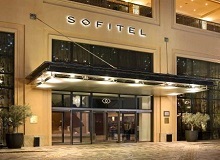 The hotel features several restaurants specializing in seafood, steaks, Japanese and Italian food. 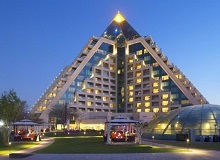 Millennium Airport Hotel Dubai features an outdoor pool and a 24-hour fitness center. Dining is available at one of the hotel's 5 restaurants. Guests can unwind with a drink at one of the hotel's bars, which include a poolside bar and a bar/lounge. JA Oasis Beach Tower is a luxury beach hotel apartment, with 180 serviced, self-catering apartments all in an elegant beachfront property right on the JBR Walk. Premium quality and contemporary appeal characterise this stately beach hotel apartment complex, providing an unrivalled standard of living however long you stay. 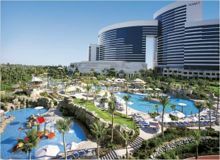 Sofitel Dubai Jumeirah Beach is rising magnificently from Jumeirah Beach Residence (JBR) in the heart of Dubais most popular promenade The Walk and the new beachfront low-rise leisure The Beach. Set along Jumeirah Beach, this sprawling upscale resort in a neoclassical-style building overlooks the Arabian Gulf, and is 5 km from Emirates Golf Club. Sit back and relax on the beach with cabanas, umbrellas, and sun loungers. At One & Only Royal Mirage, pamper yourself with a treatment at the full-service spa or have fun in the sun with activities like surfing/boogie boarding and windsurfing. 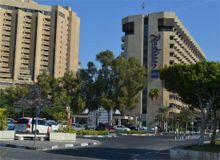 Located between the Jebel Ali Port and Dubai Internet and Media Cities, as well as the Dubai Knowledge iVillage and the American University in Dubai, the Jumeirah Beach hotel is ideally situated for all your business and leisure needs. This high-end resort places guests on the white sands of Jumeirah Beach, in the shadow of the city's gleaming skyscrapers and next to Dubai Marina. The 18-hole Emirates Golf Club is a 10-minute drive from the hotel. Newly Built in 2011, this beachside hotel with pool, fitness center and a variety of restaurants and lounges is in the heart of Dubaiâ€™s new business and leisure hub. Located on the famous Jumeirah Beach Residence (JBR), this Dubai hotel is the perfect escape whether you are traveling for business or pleasure. Experience Dubai's fashionable Jumeirah district when you stay at the Holiday Inn Express Dubai-Jumeirah Hotel, close to the Beach and World Trade Centre. A warm welcome awaits you behind the striking geometric facade of Holiday Inn Express Dubai-Jumeirah, 20 minutes by taxi from Dubai Airport. Located in the prestigious Downtown Burj Khalifa surrounded by a futuristic vision of architectural landmarks and cutting edge attractions. This hotel Offers view of the city or the Burj Khalifa, the polished rooms have free Wi-Fi, flat-screen TVs, minibars and designer toiletries. 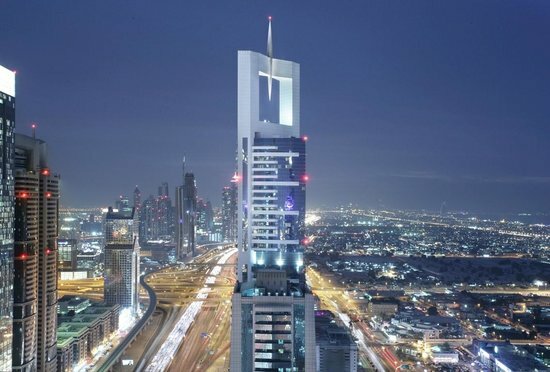 Located in the heart of Downtown Dubai, Manzil Downtown Dubai is just a few minutes walk from some of Dubai's most enticing sights, including the iconic Burj Khalifa, eclectic souks, The Dubai Mall, and The Dubai Fountain. 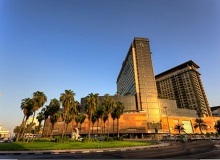 Situated in the heart of the city, Raffles Dubai enjoys the perfect location just 10 minutes from Dubai International Airport, connected to Wafi Mall, Dubais premium lifestyle and entertainment complex with a designated Kids Zone as well as a short drive from Downtown Burj Khalifa and Dubai Mall. A modern and luxury hotel in the Bur Dubai district, towering majestically the edge of Dubai's historic creek. Close to financial and entertainment places as Dubai creek, Dubai WTC and Wafi City Shopping mall and is located at only 7 km from the Dubai International Airport. Looking for a budget hotel in Dubai without compromising on the comfort? Look no further! Arabian Park Hotel is the best-in-its-class 3-star hotel in Dubai that offers affordable luxury with a host of superior facilities. It's not your regular budget hotel. We go the extra mile in making you feel at home, whether you are here for business or pleasure. The Five Star Luxury hotel is located in Al Barsha, Dubai, right next to the Mall of the Emirates and conveniently midway between Dubai Marina & Downtown Dubai offering easy access throughout the Emirate. Coral Dubai Hotel al Barsha has 337 contemporarily decorated rooms and suites on 14 Floors. Experience an unparalleled level of luxury at the Kempinski Hotel Mall of the Emirates that is connected to the award winning Mall of The Emirates. With 393 rooms and suites, including 20 stunning Aspen Chalets, we boast some of the most unique and modern accommodations. 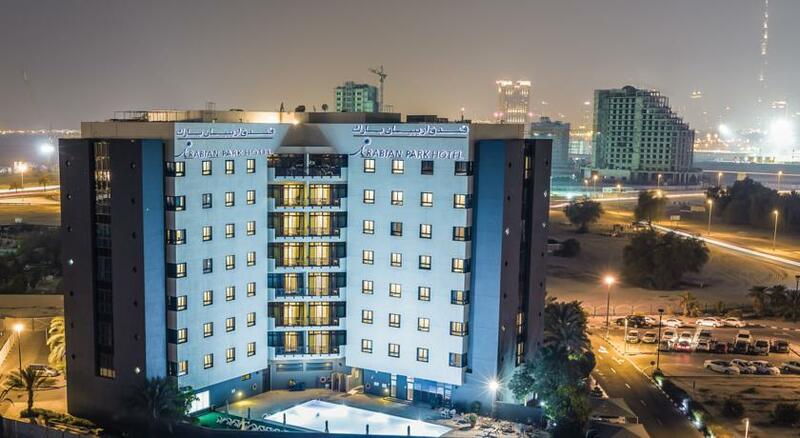 Al Salam Hotel Suites, Dubai & Apartments Dubai is located on Sheikh Zayed Road opposite DIFC & World Trade Centre and close to Dubai Mall and world tallest building Burj Khalifa. The Chelsea Tower Dubai hotel apartments offer guest excellent views of Dubai towards the Arabian Gulf on one side and Dubai city on the other side. Set against scenic views of the city, Dubai Marriott Harbour Hotel & Suites is the ideal place to unwind and socialize, within the fully-serviced suites and three great restaurants offering modern and evolving food choices. 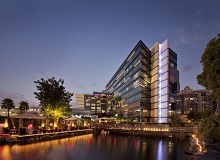 Just steps away from key attractions, beaches and business hubs. It includes free WiFi in public areas. Offering exceptional family-friendly holidays in a luxury environment, JA Palm Tree Court is an award-winning beachfront property set along the glistening Gulf shores. As one of the best beach resorts in the UAE, the hotel's spacious suites are steps away from the sea.